There has been a lot of media surrounding the governments’ annual report on Closing the Gap. The results are sobering, and sadly not surprising given the paternalistic and poorly managed implementation by successive governments. 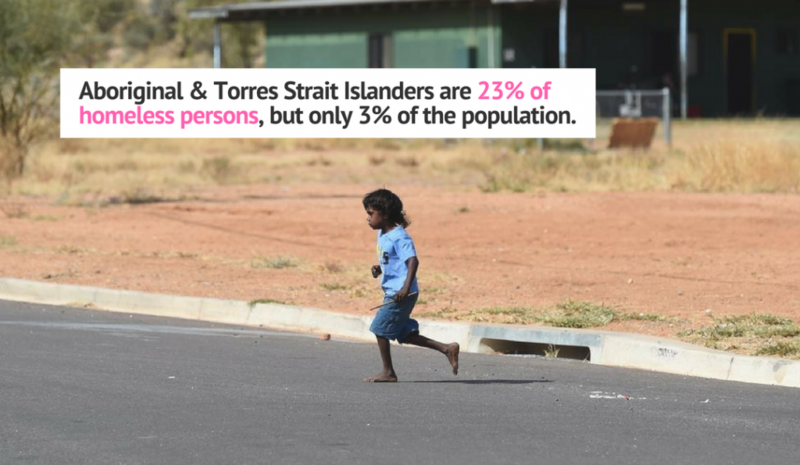 Some Indigenous leaders have called for new targets to be included in Closing the Gap, including housing justice, family violence, and children in care. 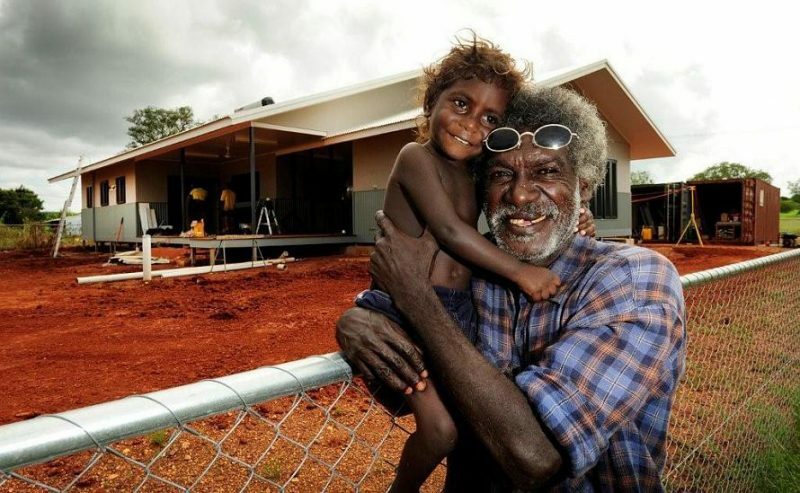 So what is the situation in Indigenous housing? This February will mark 10 years since Kevin Rudd stood on the parliament floor and said ‘sorry’ to the stolen generations. It was a rare moment and the nation seemed poised to genuinely move towards reconciliation. 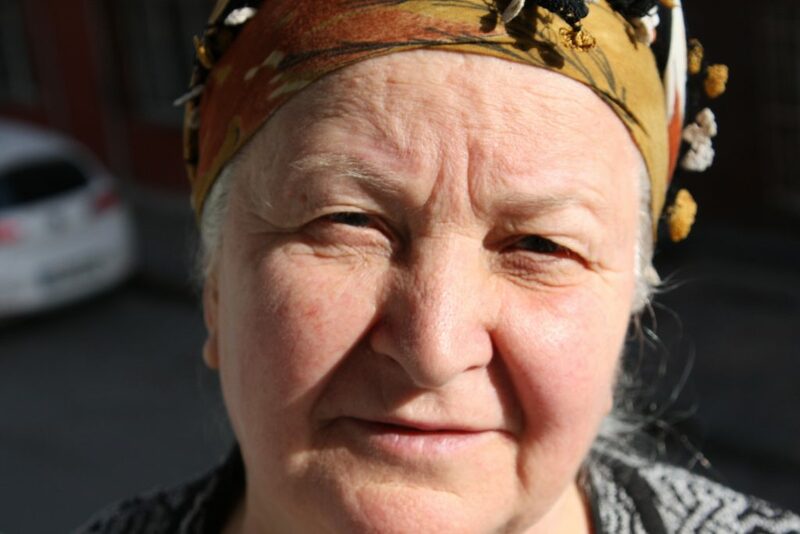 While the stereotypical face of poverty is a older man – a lifetime down on his luck, the fastest growing demographic of people experiencing homelessness is single women over the age of 55. From classic Italian, to cutting edge European – we have the ultimate guide dining out in Brisbane while supporting local projects that tackle homelessness. 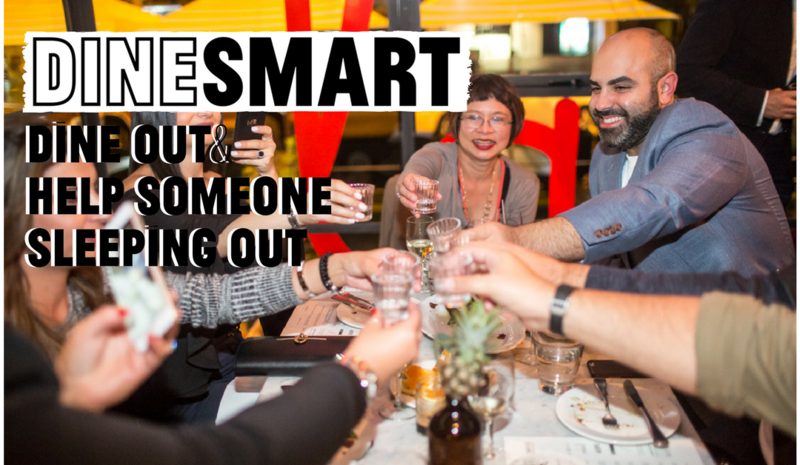 One of the things we love about DineSmart is it is a wonderful excuse to explore and fall in love with new restaurants while doing some good. 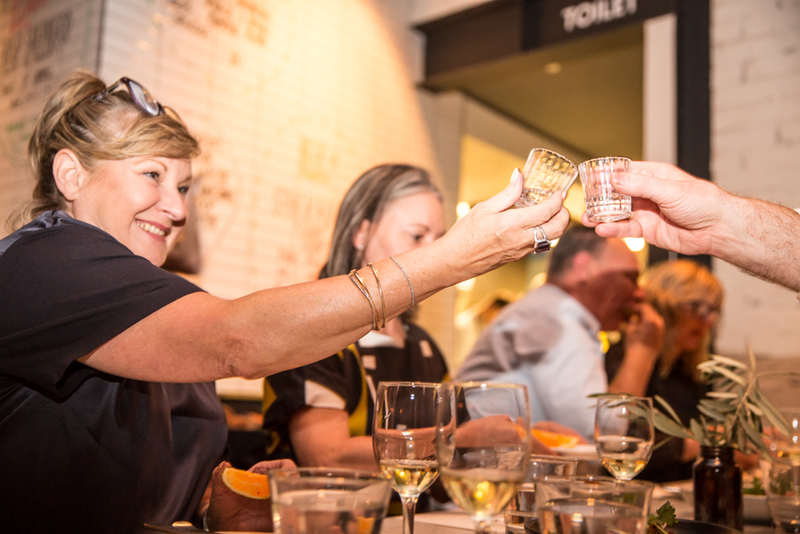 This year, we have an exciting bunch of venues in Melbourne’s inner west – and the ultimate guide dining out while supporting local projects that tackle homelessness. 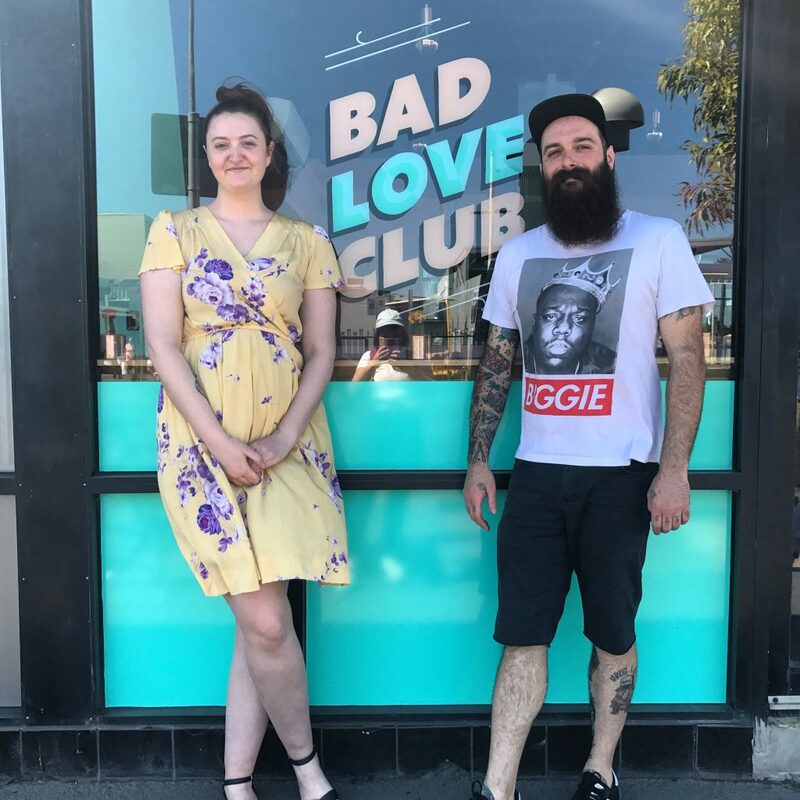 The Bad Love Club is a new kid on the block, and wife and husband team Sarah Ryan and Damien Shaw decided to open in Footscray where Damien grew up. 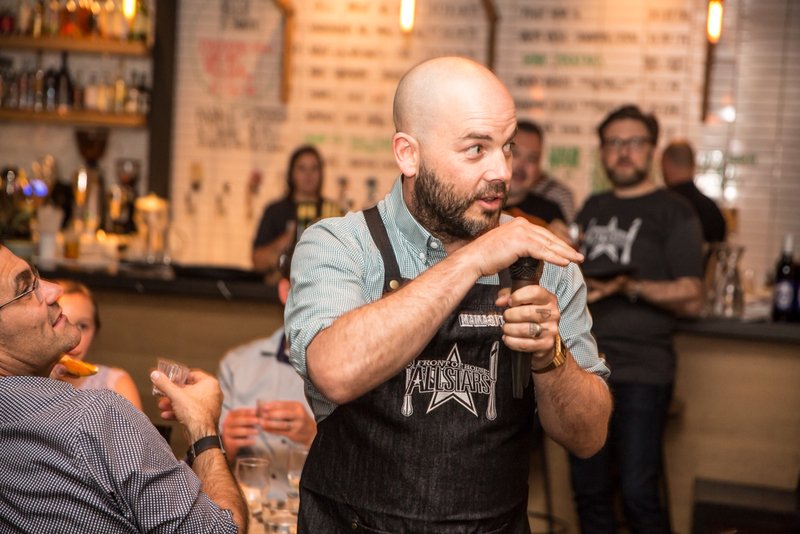 “We have lots of regulars, but we’d also like to see Footscray become somewhere people come to eat and drink. There are lots of great spots – and we all support each other.” The Bad Love Club is your go-to for early morning and after dinner fixes. By morning they serve up Sensory Lab coffee, jaffles and bagels, and by night they do “boozy bakery” treats that pair house baked goods with delicious dessert cocktails. For a fresh produce inspired lunch head over to Small Graces, a classy but cosy spot opposite the old Little Saigon Market. 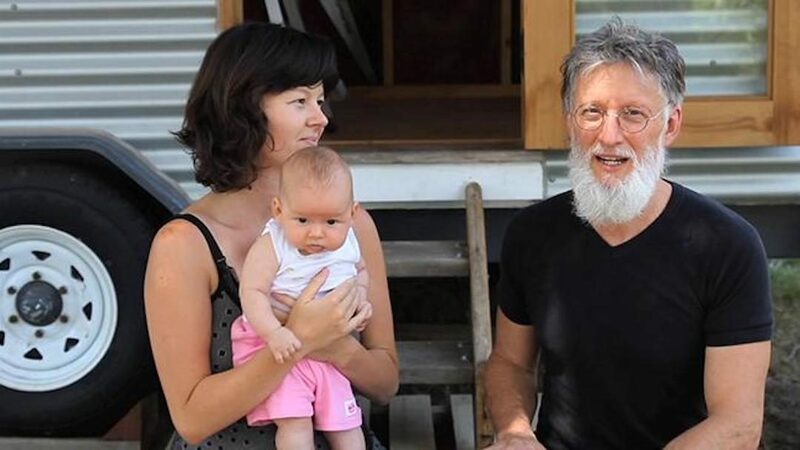 Owner’s, Diego Portilla and Rebecca Howell are committed to using local, ethically sourced ingredients and produce and are bringing their passion for local impact to DineSmart. “We were looking for ways that we could support community initiatives, and then we found DineSmart.” Vegan, vegetarian or gluten-free will find a variety of options as well as well rounded dishes for the carnivorous. For some relaxed dining and drinks, head down the road to The Creators Lounge, offering beer, bands, a barbershop and an American diner-inspired menu. The spacious venue offers a relaxed atmosphere to try local brews, and indulge in some loaded fries, burgers, and classic American sandwiches. 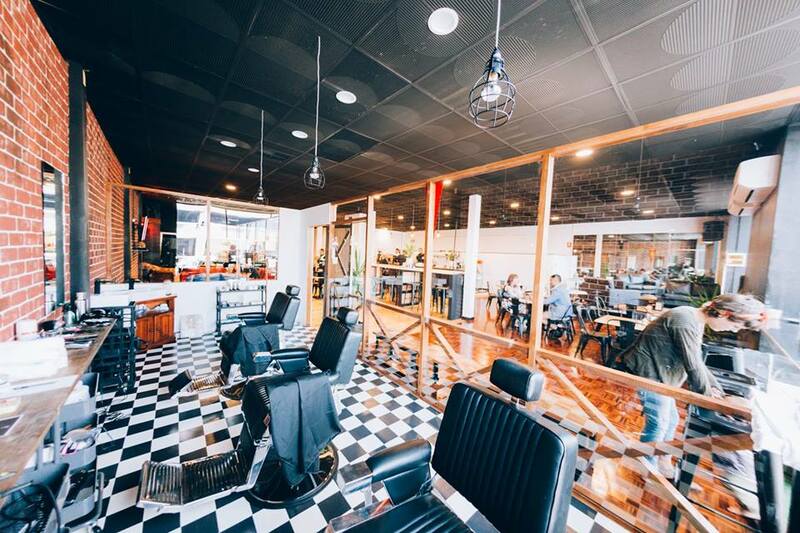 If you’re feeling the 5 o’clock shadow, pop into the barbers for a quick shave! 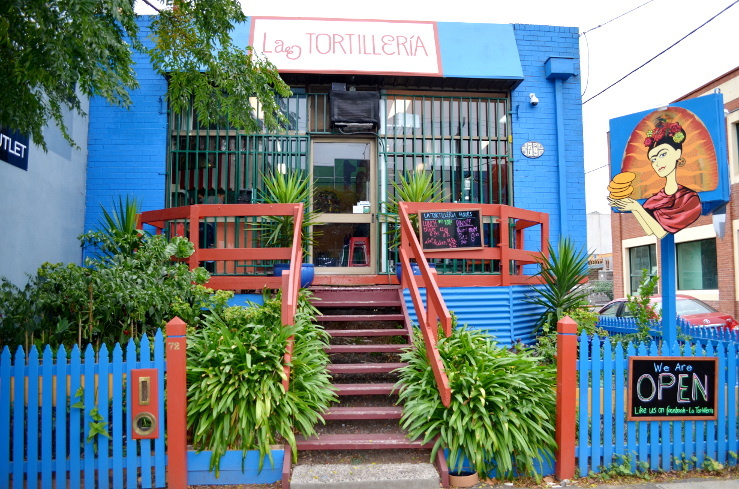 La Tortilleria was one of the first restaurants to bring authentic Mexican to Melbourne, and are joining DineSmart for the first time this year. They have already proven themselves to be fundraising heavyweights – recently raising over $20k to support Mexican Earthquake victims. La Tortilleria specialises in in-house real tortillas, and no-frills street inspired Mexican. Enjoy tacos with a chilled sangria in the colourful outdoor dining area. 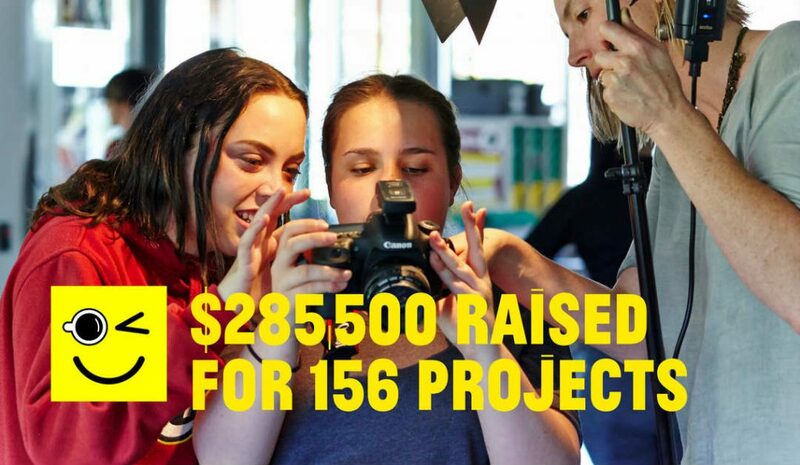 StreetSmart Supported Projects in the West: Flat Out, Melbourne City Mission, Footscray Community Legal Centre, Second Bite, Multicultural Sudanese Centre, Asylum Seeker Resource Centre. We also support domestic violence shelters and indigenous women’s groups. How to get there by Public Transport: Sunbury, Werribee and Williamstown for Footscray, and Upfield or 57 tram to Kensington. Looking for something a little closer to home? Check out the full listing of participating restaurants over here. DineSmart is our longest running campaign, we are more determined than ever to raise much-needed funds for local homelessness services. The backdrop to this year’s campaign is a rising homelessness crisis, and a critical funding shortage in the homelessness sector. 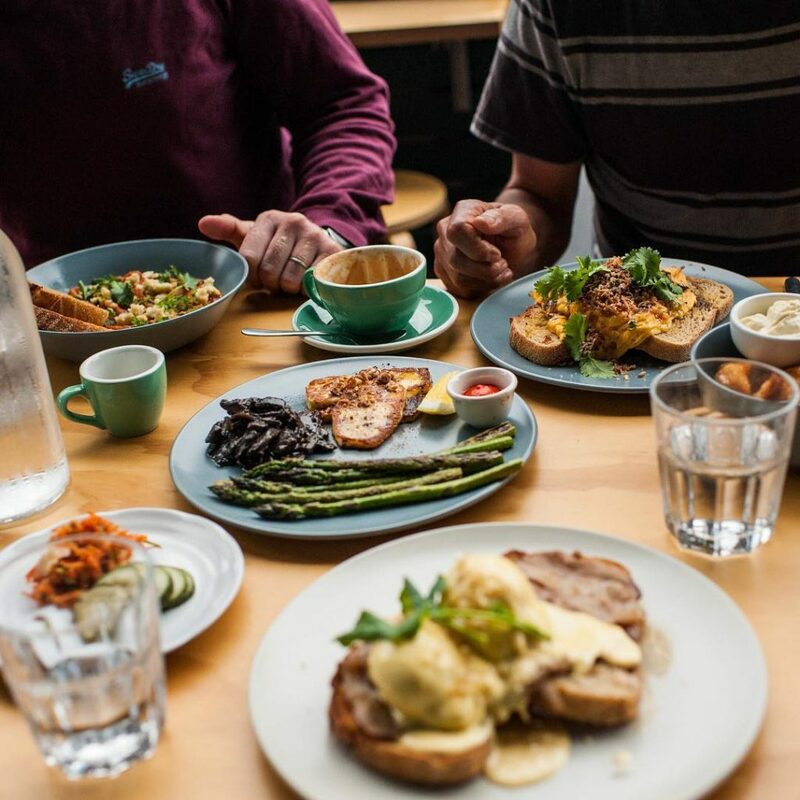 DineSmart runs in close partnership with some of Australia’s best restaurants, beautiful regional estates, and tiny little eateries that know every customer by name. What they share in common, is a love for their local area. Restaurants and cafes are part of their local community. The regulars, the passers-by, nine-to-fivers, and those experiencing homelessness all come into contact with local eateries. As the homelessness crisis has seen a rise in people who are sleeping rough, many of those affected seek shelter around busy restaurant hubs. And the funds DineSmart venues raise really do make a difference. Andrew Grinter owns Pizza D’oh in Blairgowrie. 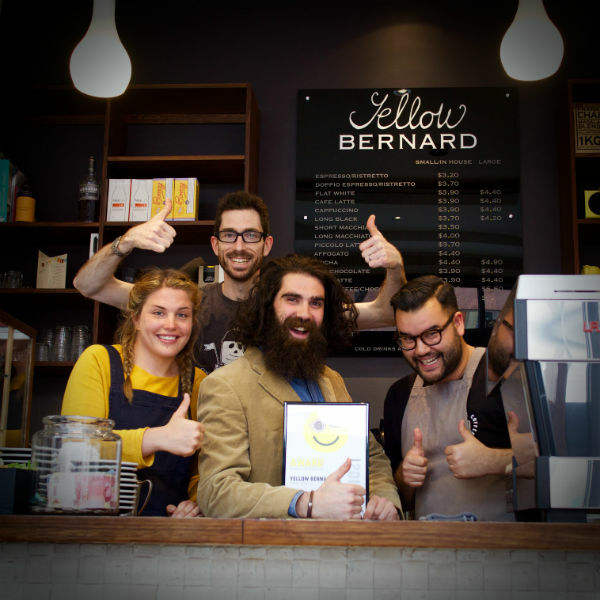 Since 2007 Andrew, his staff and generous customers have raised over $35,000. Every dollar has helped to fund vital local projects including the Southern Peninsula Community Centre’s Emergency Relief Fund. The Emergency Relief Fund has helped people like Susan and her three kids who were found to be sleeping in their car after escaping family violence. With the support of funds raised by Pizza D’oh, Susan’s and her family were supported into housing, and the kids settled into a new school. Funding for emergency relief has been slashed from the federal budget over successive years, which has left services unable to support people when they need it. While governments are busy dismantling the social safety net, people like Susan and her family too easily fall through the gaps. 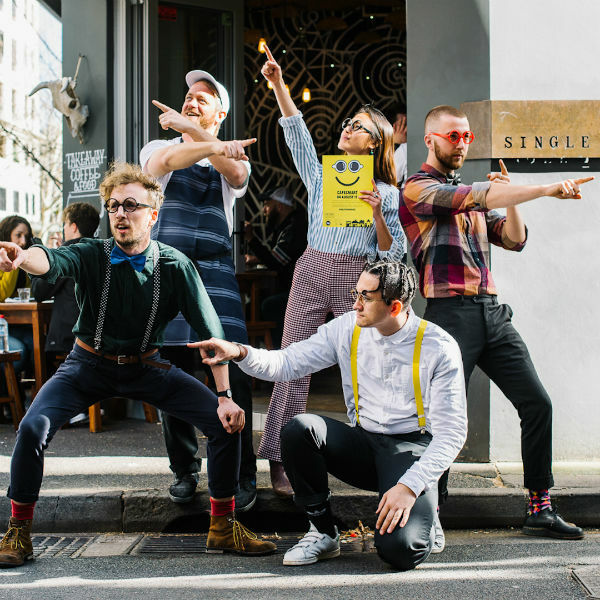 The fundraising efforts of DineSmart restaurants and customers provides a lifeline to services who are struggling to support people. “We have been taking part in DineSmart since 2006. 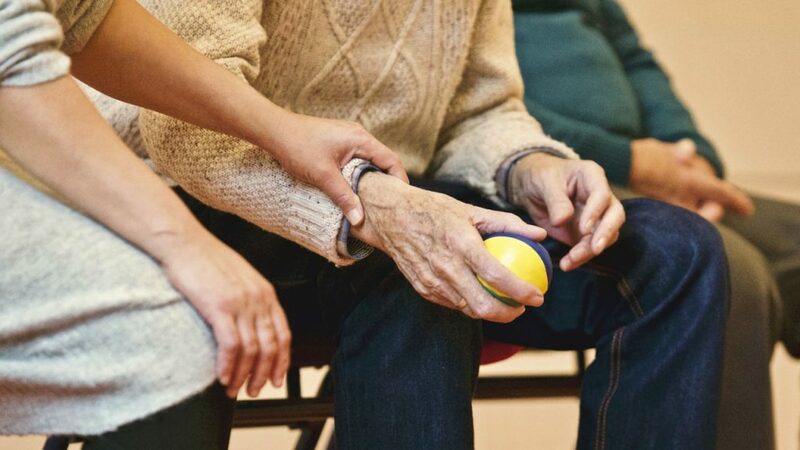 We think it is important for business to give back to the community – so raising funds to support local services that are out there doing the hard work was a simple decision for us. It is such a simple way to effect meaningful change in people’s lives. ” DineSmart Ambassador, Sam Christie of Longrain. DineSmart will run at participating restaurants for the 15th year between 24th Nov – 24th Dec. If you would like your restaurant to be involved click here, or drop Sharna a line here. Diners contribute by choosing a DineSmart restaurant and leaving their donation on their bill. So-called ‘tent city’ on the doorstep of the Reserve Bank in Sydney and Flinders Street in Melbourne has generated a lot of media, and heavy-handed responses from public institutions. But sadly, homelessness in metro Australia is just the tip of a much greater problem. A recent report by the Council for Homeless Persons found that 37% of rough sleepers are in the middle and outer suburbs, whereas only 8% of people sleeping rough gravitate to inner metro areas. 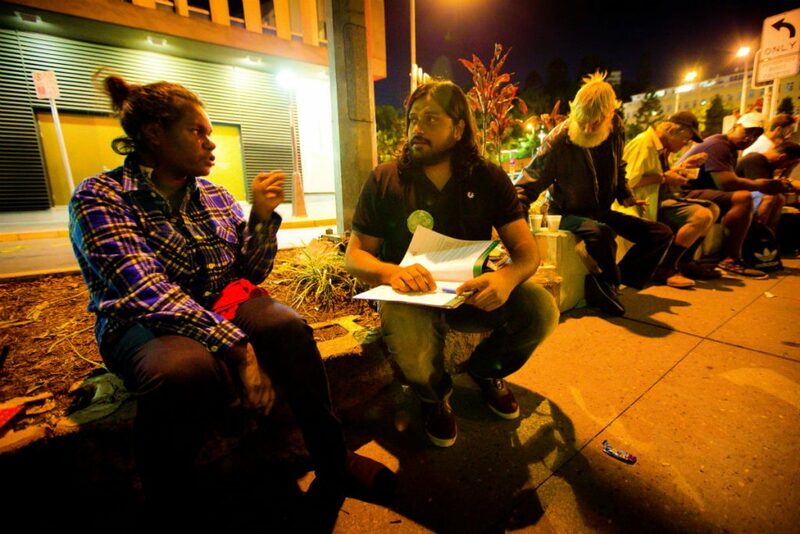 “Rough sleeping in the CBD and central areas has a lot of visibility and media coverage, but there are a lot of rough sleepers in the outer suburbs,” says Jay Church from Anchor Housing, an organisation servicing Melbourne’s Yarra Ranges, and our StreetFunder supported project this October. The Yarra Ranges includes the very outer urban fringe and semi-rural areas. The region ranks highly housing stress, which is estimated to sit at 30.3%. It also ranks in the top 10 areas for socio-economic disadvantaged communities nationally. Suburban homelessness is increasing in lockstep with rising housing prices, stagnant wages and, below poverty level income support payments. In areas with few job opportunities, and poor amenities, services like Anchor Housing are a lifeline for people doing it tough. The Rough Sleeper Initiative engaged rough sleepers in Melbourne, Port Phillip, Stonnington and Yarra Ranges. They found the majority of people were on some form of income support, and in labour force. “This picture supports a conclusion that labour market conditions and low-income support payments are drivers of increasing levels of homelessness and rough sleeping,” the report said. Anchor Housing provided 1,839 bed nights in 2016/17 and about 46% of those helped were already homeless when they presented. The other 54% are part of a growing demographic of the ‘almost homeless’ – people in deep financial stress and at risk of losing their home. Deep cuts to the federal social services budget over successive years has stripped away the ability of many services to assist people in crisis who need assistance with bills, rent, medicines, food and other basic needs. We have been funding homelessness organisations for fifteen years, and the sad reality is that it is getting worse, not better. More and more people require help to meet very basic living costs, and often small amounts of funding are all that stands between someone having a home and them ending up homeless. Meanwhile, services are having their funding cut, or left in a constant state of limbo. StreetSmart has supported Anchor with $15,900 in community grants since 2006 and will be supporting Anchor again this October to try and redress the black hole funding cuts have left in their material aid budget. That means a food voucher for a young family in crisis accommodation or financial assistance to keep up with the cost of private rental. If you want to support Anchor Housing to maintain vital material aid, you can donate to our October StreetFunder here.